Professional Design 4th Axis gimbal stabilizer for DJI DJI Ronin S, DJI Osmo series, such as Osmo plus, Osmo Mobile/Pro/Raw etc. 4th Axis gimbal stabilizer can smartphones or Osmo camera transforms your smartphone into a pro-quality video camera,making every moment you shoot look smooth and professional. 4th Axis stabilizer it effect of shock damping can be achieved by adjusting the stepper spring.It can improve stability by 30% and large reduce vertical jitter. Light weight, drop resistant, wear resistant, made with Z-axis stepper and F1 racing shock absorption principle. 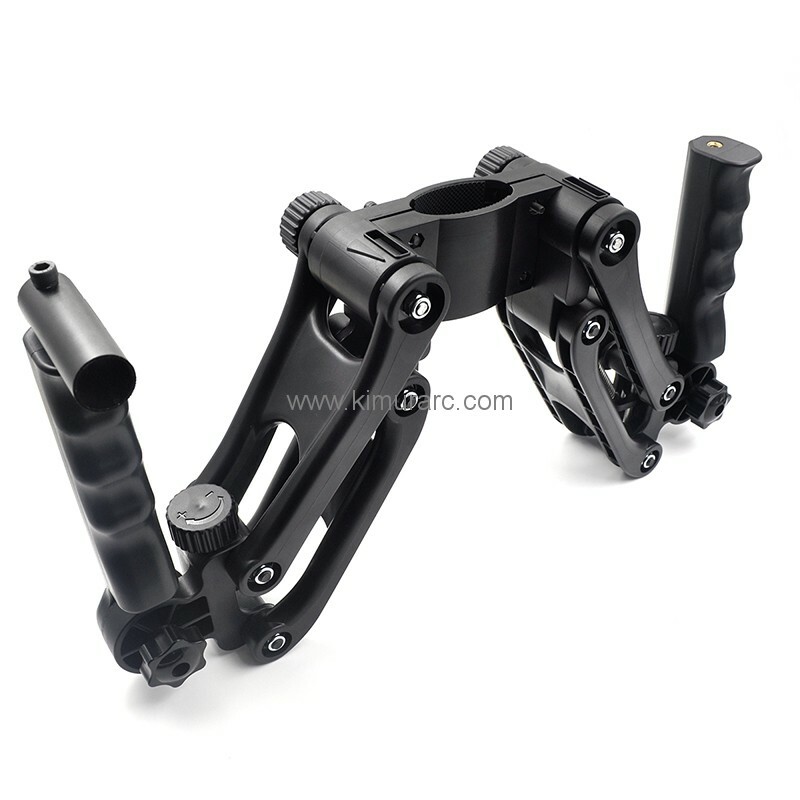 Compatible with all brand stabilizers and supports 0.9-4.5kg weighing. Note:4th Axis stabilizer needs to be used with an electronic stabilizer, and the stability of the camera directly installed is not ideal. 4th Axis stabilizer double handles can be installed with pan/tilt, strange hand extension lights, wheat, monitors and other accessories. 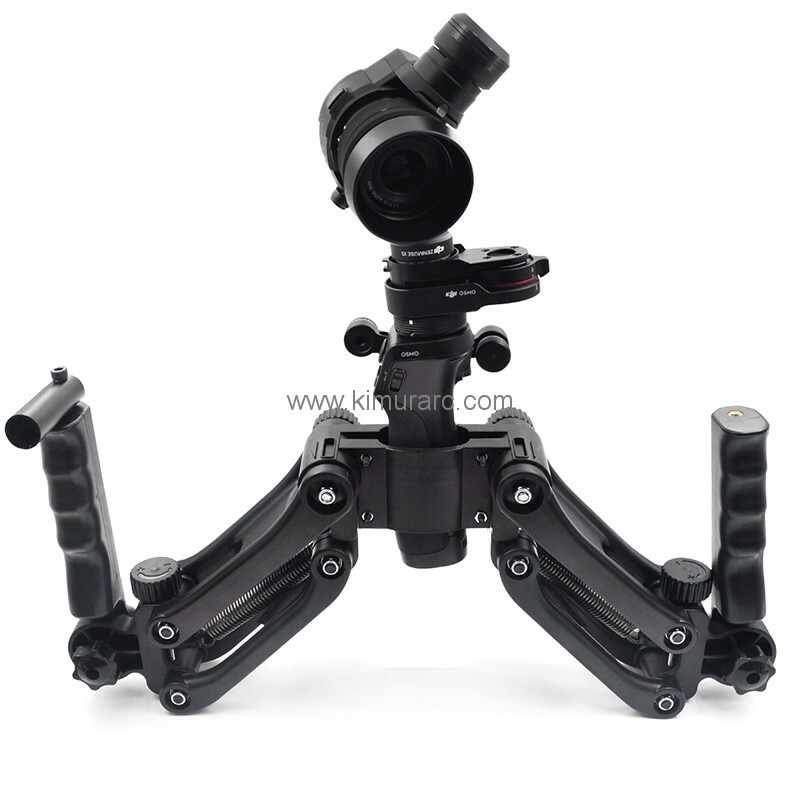 1.Professional Design 4th Axis gimbal stabilizer for DJI DJI Ronin S, DJI Osmo series, such as Osmo plus, Osmo Mobile/Pro/Raw etc. 2. The 4th Axis stabilizer helps to stabilize the up and down movement when using 3 Axis camera gimbals, which will produces at least 30% smoother footage. Get smooth footage with ease. 3. 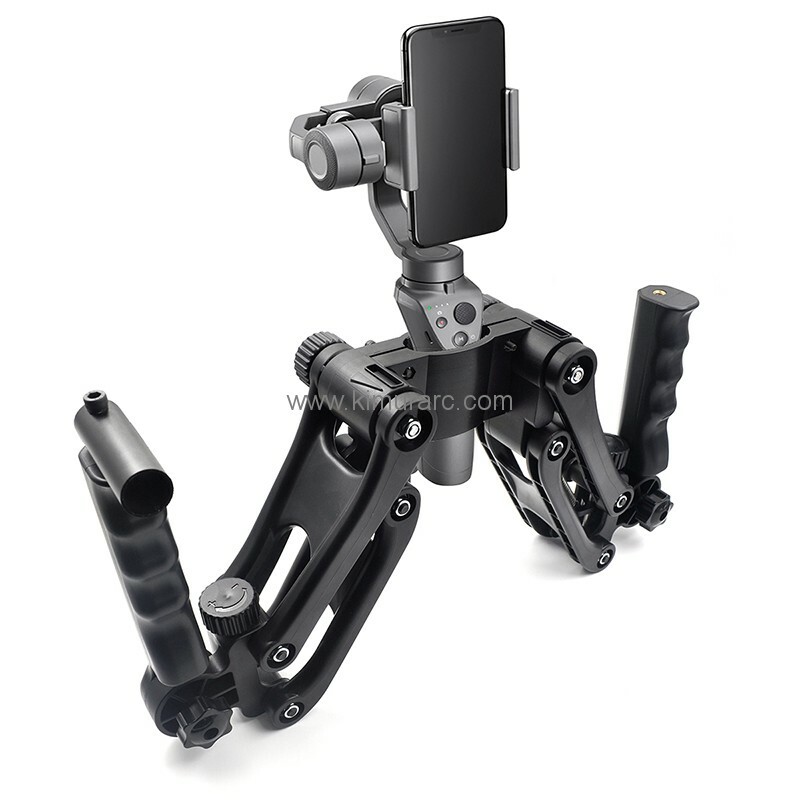 Allows to use your gimbals mini tripod and rest your arms between takes. 4. Damping system design has gooddamping effect. Dual independent adjustable fluid damping - from hard action to soft shots. 5. Dual independent load adjusters to adapt to your rig. 6. Comes with quick mounting plate allowing user to mount camera or DV directly. 7. The direction of the handle will be adjusted, and there are 1/4’’ screw hole on the ends of the handle which will allow to mount another devices. 8. Comes with 2cm length fixed tube for exteral remote controller. 9. 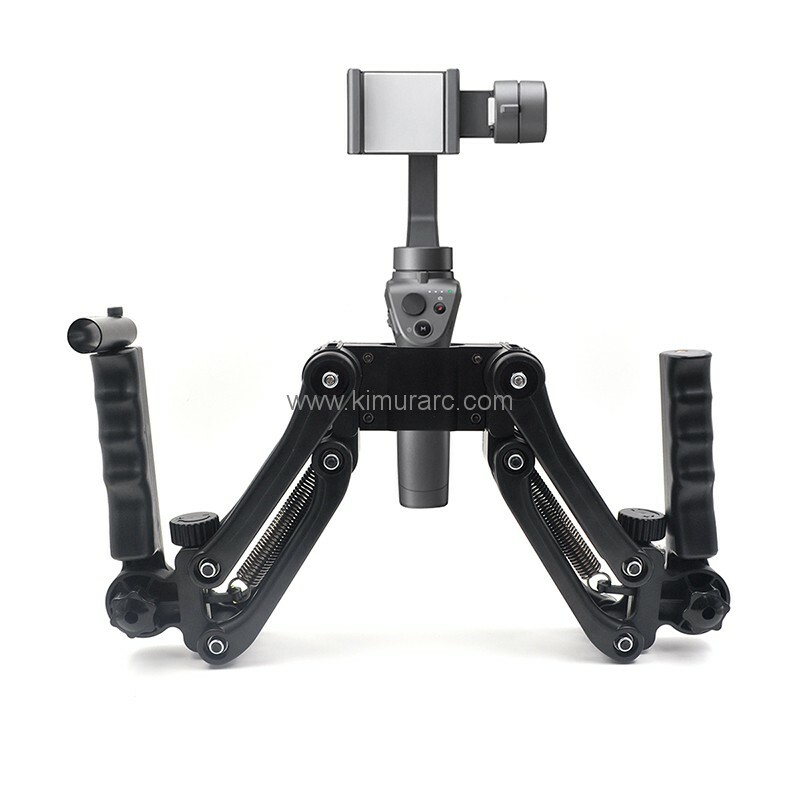 4th Axis stabilizer Compatible with all brand stabilizers with handle diameters of 2CM-5CM. 10. 4th Axis stabilizer fine adjustment of oil pressure according to different weights and different usage environments.